A dark-roast lover's dream! A unique blend of Arabica coffees taken to a rich, dark roast makes this bold yet smooth cup. A great single-cup to start your day off or to enjoy as an after-dinner treat. This coffee offers a wonderfully rich and dramatic combination of high grown Central and South American coffees. They're blended together and roasted to a beautiful dark brown. 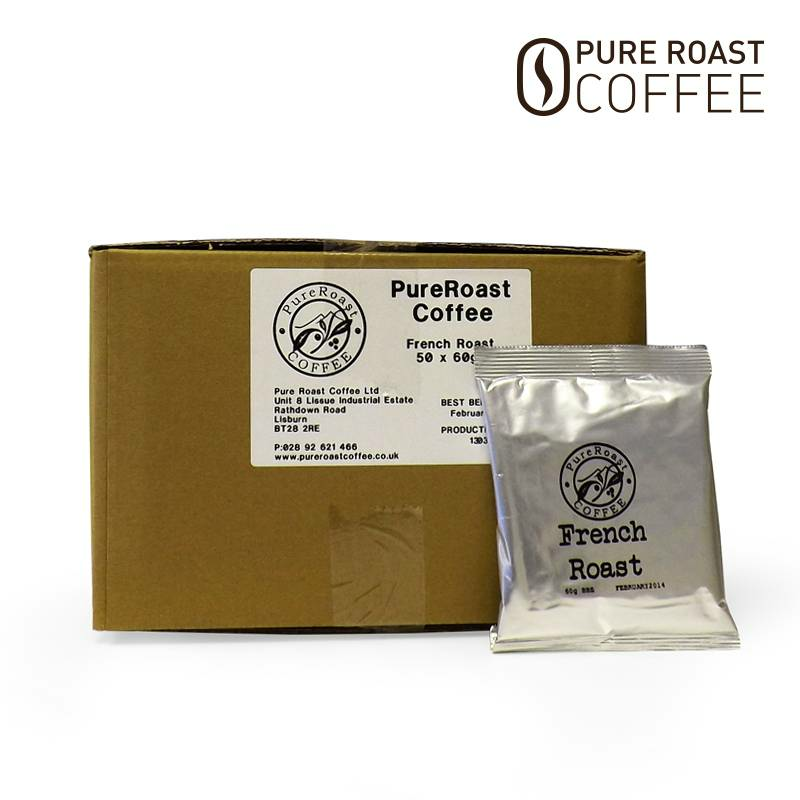 Our French Roast is a coffee with presence, and a body that is smooth and deliciously heavy. Comes with 50 filter papers and 50 sachets of filter coffee. Each sachet contains 60g of premium coffee.